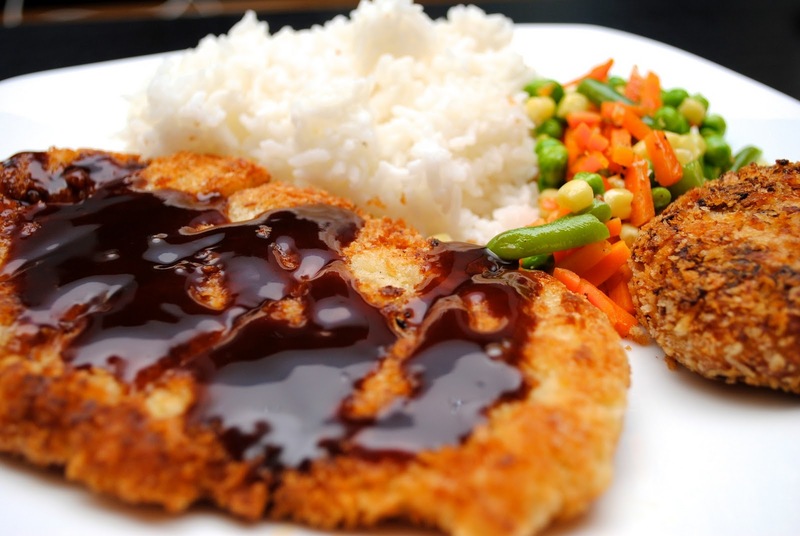 Korokke are the Japanese version of the French croquettes, crispy patties often made out of mashed potatoes and meat. 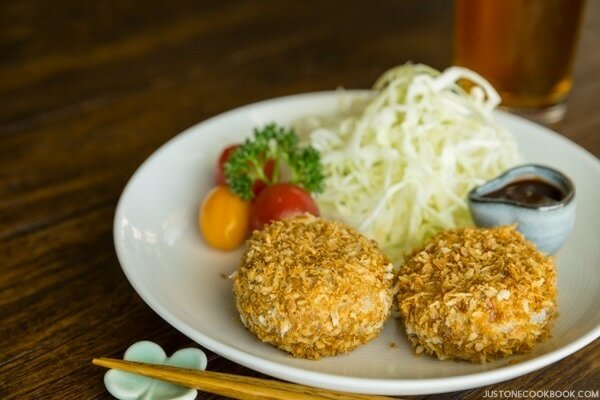 Both are breaded and then deep-fried but the Japanese korokke are coated with panko (Japanese bread crumbs) which are coarser than regular bread crumbs, resulting in �... Today I introduce you to a simple and healthy vegetable croquette recipe. This time I cooked the croquette in the oven so there is no need to worry about hot oil and messing up a kitchen. 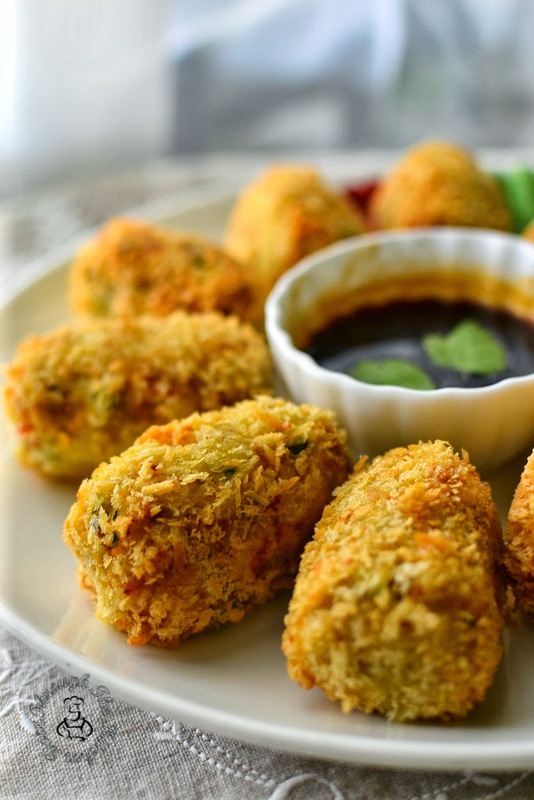 Japanese Potato Croquettes, or �Korokke� as they are called in Japanese, are a delicious fried food made from panko crumbed mashed potato with carrot, onion and mince. 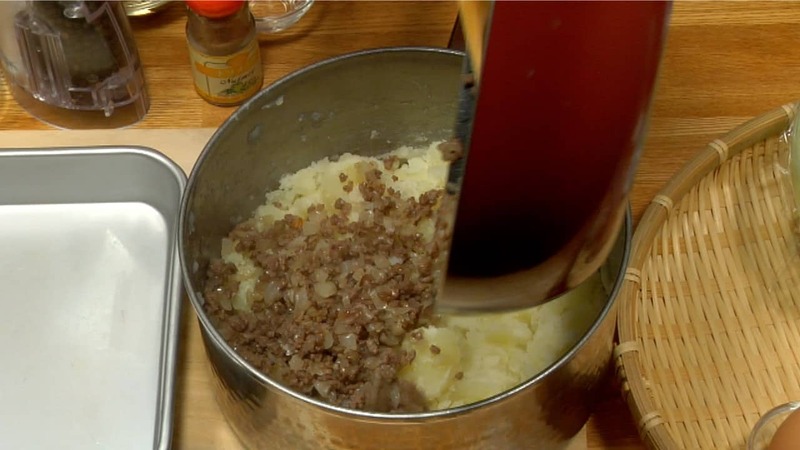 They are a tasty street food but are also one of those Japanese home style dishes that can easily be made at home too.